This power-packed program will teach you how to manage electronic records and conquer the paper pile-up. The Records Management Online Training Program will give you an introduction to the profession of records and information management. It focuses on establishing and managing successful organization-wide records management programs. The textbook and materials for this program are included. This online certificate program is offered in partnership with major colleges, universities, and other accredited education providers. Every organization and every individual has records! 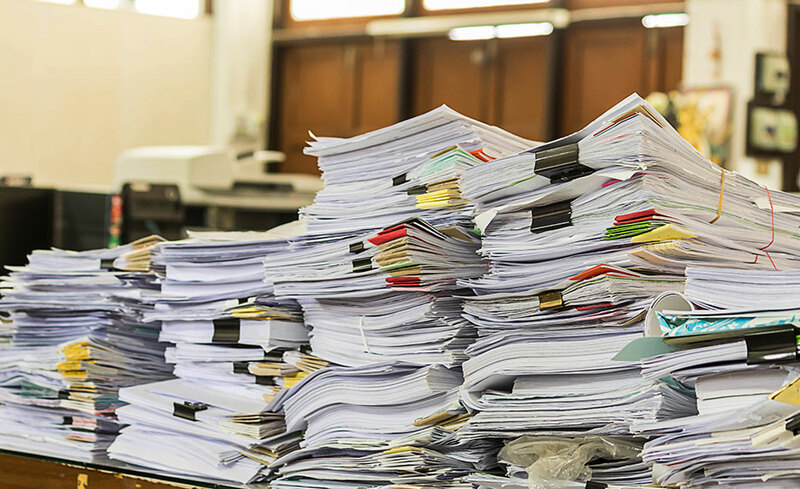 Business offices, government agencies, nonprofit groups, educational institutions, and medical facilities—just to name a few—must deal with enormous amounts of records on a daily basis. Executives and support staff are inundated with data and information in various formats. Should records be stored on paper, in an electronic format, in a microform? How is a records inventory conducted? What are the steps in the development of a company-wide records retention schedule? How are records archived? This program will assist you in making those decisions based upon certain characteristics of the records. Also, you’ll learn to code and file according to the rules established by the Association of Records Managers and Administrators (ARMA). I. What is Records Management? ed2go will provide the required textbooks (Records Management, 9th Edition, Study Guide, and Simulation) for this program. Tony Swaim has helped many clients, colleagues, and students reach their professional and personal goals. He has been an online instructor since 1998 and has taught at colleges and universities across the United States since 1981. Tony manages a successful consulting firm, and his industry experience includes 20 years of supply chain management. He earned a Doctorate in Business Administration from Kennesaw State University and holds professional certifications in six disciplines, including the Project Management Professional (PMP®) certification from the Project Management Institute (PMI®) and Certified Six Sigma Black Belt (CSSBB®) from the American Society for Quality (ASQ®). The online course offered more than I anticipated. I was very pleased with the course and instructor. I would recommend ed2go. The course was self-paced which allowed for work/education to be completed together. Any time I had a question, it was always answered well and in a timely manner. I liked being able to learn on my own time. Without that flexibility, I would not have been able to take the class.